It’s the time of year when people hit the gym after weeks of holiday feasting, these proud so-called ‘January Joiners’ who may not necessarily know the unwritten rules of working out with others. 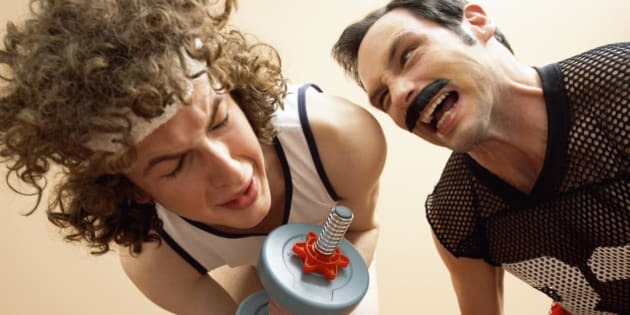 Whether it’s the person who leaves sweat on the treadmill, or the person who works out even when they have the flu, everyone has pet peeves at the gym that can make getting fit a lot more frustrating. Besides etiquette, there are severe health problems that can come with disregarding these so-called gym rules. About 80 per cent of infectious diseases can be passed on by touch, according to WebMD, and some research has shown disinfecting equipment doesn't always kill off germs that make you sick, notes Greatist. It’s something fitness managers like Colin Duncan say you don’t have to obsess over, but instead, be aware of. And no, this isn’t your excuse to stop working out. Instead, the tips below should help ensure a cold (or worse) doesn't follow you back home. And if you do see any of these crimes committed, feel free to tattle-tale to your nearest fitness trainer.